Imagine having to flee your country because of multiple years of civil war and unrest. Having to abandon your home, and almost everything you own to try to escape the death and destruction ensuing around you. This doesn’t sound like a scenario many of us have had to live or go through. Living in a 1st world country is one of the biggest benefits you can have growing up. For the people of Syria however, this was never an option. 5 years ago, civil war broke out in Syria against President Al-Assad and rebels who want a new regime running the country. The world has watched for 5 years as innocent civilians have been caught in the crossfire of this deadly conflict. 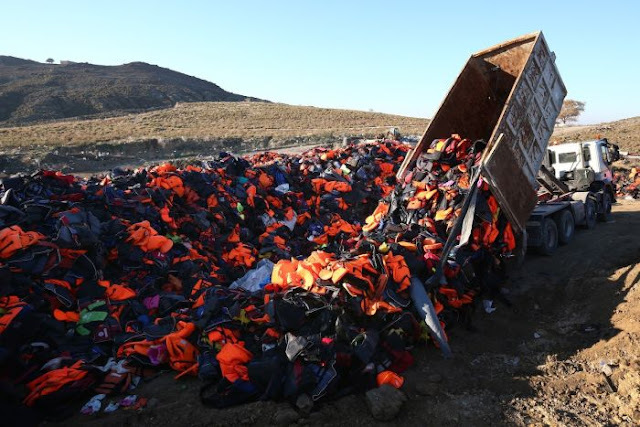 Recently, many of the innocents in the country of Syria have been boarding crudely made boats and sailing across the sea with the hope of refuge and a better life in Europe. The magnitude of this civil conflict has not been lost on the world, and organizers on a Greek island wanted to remind people to ring in the new year with a message of peace, hope, and love. 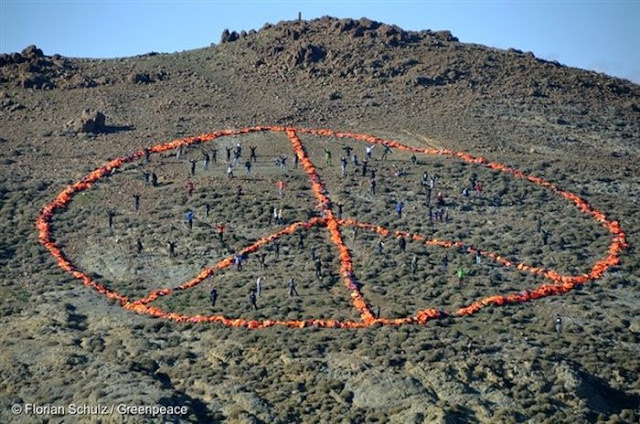 More than 500,000 refugees from Syria, Afghanistan, and Iraq crossed the Aegean Sea to the Greek island of Lesbos in 2015. 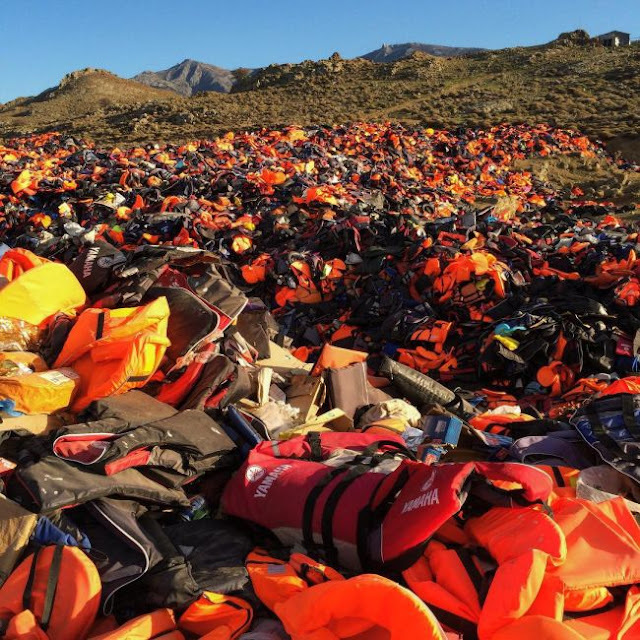 When and if refugees are able to make it to shore, they discard their life jackets on the island. 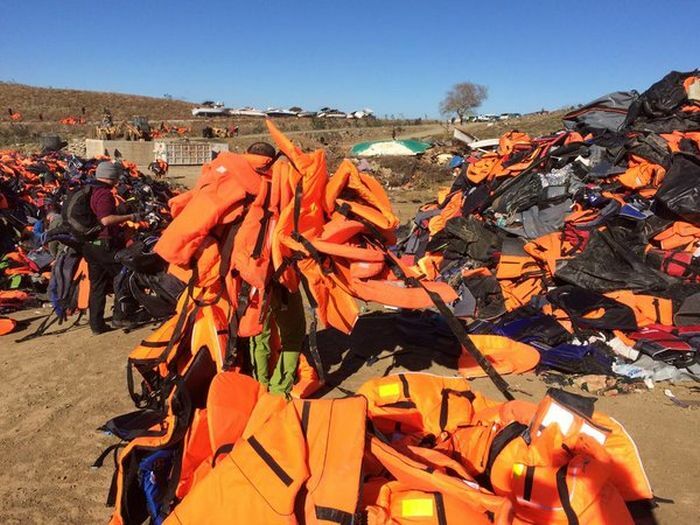 The 100 volunteers collected the lifejackets from all over the beach and decided to do something amazing with them. The U.N. has figures that show that over 1 million refugees crossed the Aegean Sea to Europe in 2015. The 3,000 jackets were arranged in a symbol that represents peace, hope and love to so many people around the world. 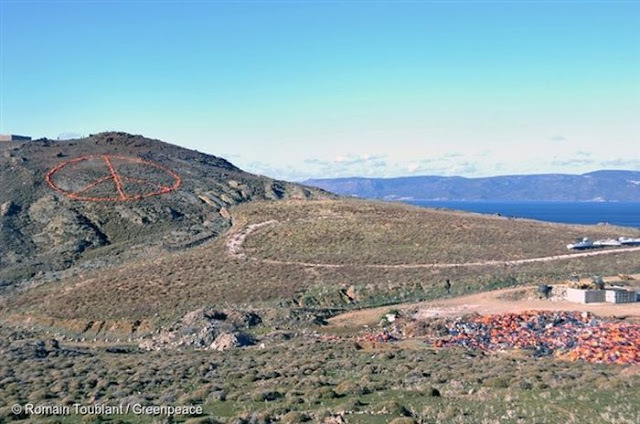 On the side of a hill right off the beach of the island, the created a giant peace sign. 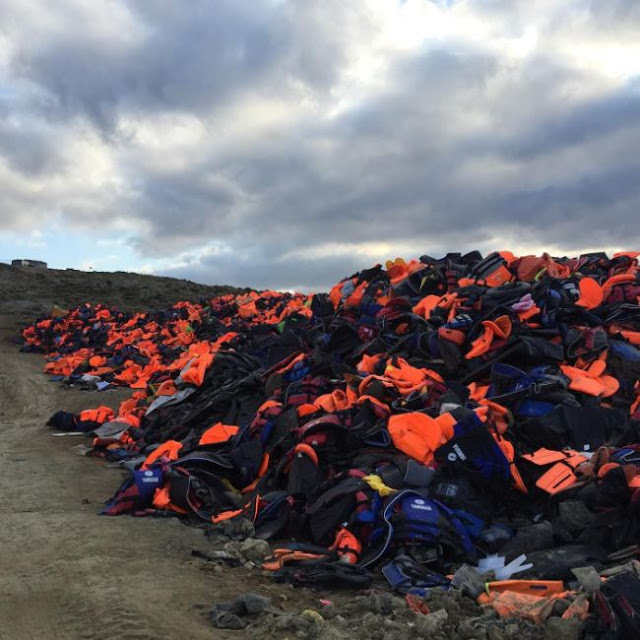 “The dump site stands as a statue, a silent reminder of the risks and that so many more still hold out hope of a safe crossing. It also includes the life jackets of those who never made it, of those who lost their lives at sea and can never return home or continue their journey north” said one of the volunteers.